March 2015 – Jacobsson receives “Certificate of Achievement” from the California Highway Patrol for compliance with the Biennial Inspection of Terminals (BIT) program. Jacobsson is very proud of our safety record. 2014 just completed 3 years without a workplace injury. Jacobsson will continue to put their employees’ safety first. Congratulations to Mike Slater who is retiring after 22 years of service with Jacobsson. Mike started working with Jacobsson in 1992 as a laborer and went on to become a Foreman. We wish Mike well in his “retirement years” and thank him for being such an important part of our team. Jacobsson has been awarded a contract with Walsh Construction Company to work on the new VA Healthcare center in Loma Linda, CA. Jacobsson has been awarded a contract with Abengoa Transmission & Infrastructure for the Lone Valley Solar Project in Lucerne Valley, CA. Jacobsson has moved their corporate offices to Bermuda Dunes, CA. This is a great new location, next to the Bermuda Dunes Airport, close to Interstate 10 and centrally located in the Coachella Valley. 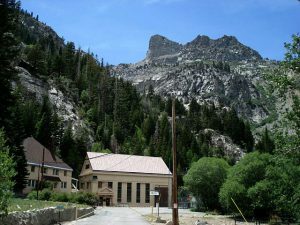 Jacobsson will start work this month on the historic Poole Substation in Lee Vining, CA. This work is being performed for Southern California Edison, KGC, Inc.
Jacobsson is happy to announce that they have been awarded another contract in the exciting renewable energy market. Jacobsson will be working for Abener Teyma Inabensa on the Mount Signal Solar PV Power Project in Calexico, CA. This project is expected to be completed in 2014. It is an exciting time to be involved in the renewable energy market and Jacobsson Engineering Construction is proud to announce that it has been awarded a contract with Fluor Constructors International, a leader in the solar powered engineering and construction industry. 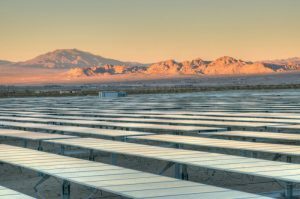 After recently completing a biological training, Jacobsson started work on the Centinela Solar Energy Facility located in Calexico, CA in the Imperial County. This project covers approximately 1,500 acres of land and is expected to be completed in 2014. Jacobsson Engineering wants to thank everyone who participated in the Botball fundraiser last month. Thanks to the support of everyone involved, Desert Robotics was able to field four teams to the National Conference held in July at Southern Illinois University, Edwardsville. One of the Desert Robotics teams from Palm Desert Middle School finished in the top 16 out of 74 teams, competing against high school students from three continents. We encourage anyone interested to check out the Botball website at botball.org. Pictured in the photo is Dr. David Miller of NASA interacting with students at the National Conference. Among his many achievements, Dr. Miller was instrumental in the successful deployment of robotic rovers to the planet Mars. If you know someone who would like to participate or you would like to continue to support Desert Robotics, please contact Jacobsson Engineering. We are very proud to be associated with these extremely bright students. Jacobsson Engineering Construction is proud to announce that it has entered into a joint venture agreement with Advance Pacific Construction. This new joint venture, Jacobsson-Pacific, will combine the strength and experience of Jacobsson with the federal contracting opportunities of Advance Pacific. Jacobsson-Pacific will give its customers a new and powerful way to meet their federal subcontracting goals. For more information, contact Jacobsson-Pacific at 760-345-8700. 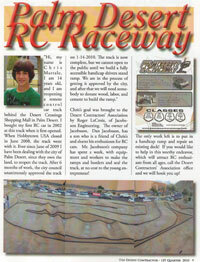 Jacobsson Engineering and some willing employees all pitched in to help a local 14 year-old entrepreneur open a new radio-controlled car racetrack in Palm Desert. A special thanks goes out to Roger, Josh, Jimmy and Gordon for seeing the “project” through to it’s completion. The track is now finished, and will be open to the public soon. 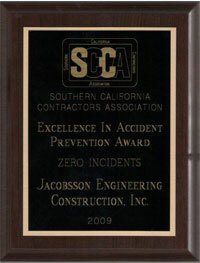 Jacobsson Engineering Construction, Inc. was recently recognized by the Southern California Contractor’s Association for “Excellence in Accident Prevention” during 2009. There is nothing that we do at the company that makes any sense if we cannot all enjoy the benefits of our hard work with our families and friends. Safety is a team effort. Congratulations to everyone who made Jacobsson Engineering Construction a safe place to come to work in 2009. In an effort to improve the level of service it provides its customers, Jacobsson has recently sponsored thirteen of its employees for training in the joining of polyethylene pipe by fusion welding. This certification will be valuable as Jacobsson begins work on two major sewer treatment projects during the first quarter of 2010. Way to go, guys!